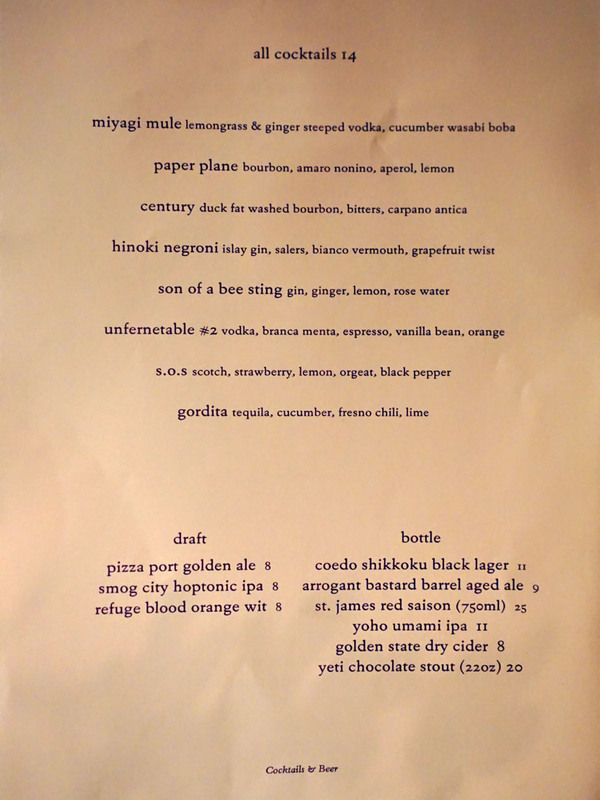 Hinoki & the Bird debuted with considerable anticipation back in January 2013. The restaurant was supposed to be a return to the fine dining scene for David Myers, and he installed his protégé (and purported girlfriend) Kuniko Yagi as Executive Chef. I visited shortly after the opening, and was pretty happy with the place. However, things quickly fell apart. 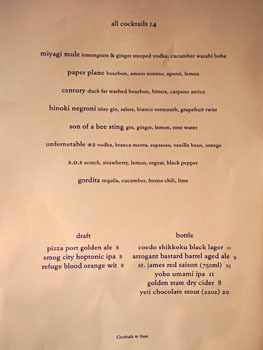 In June 2014, Myers left his eponymous David Myers Group (formed in '09 with Walter Schild after the collapse of his previous company FoodArt), which was subsequently renamed Culinary Lab. 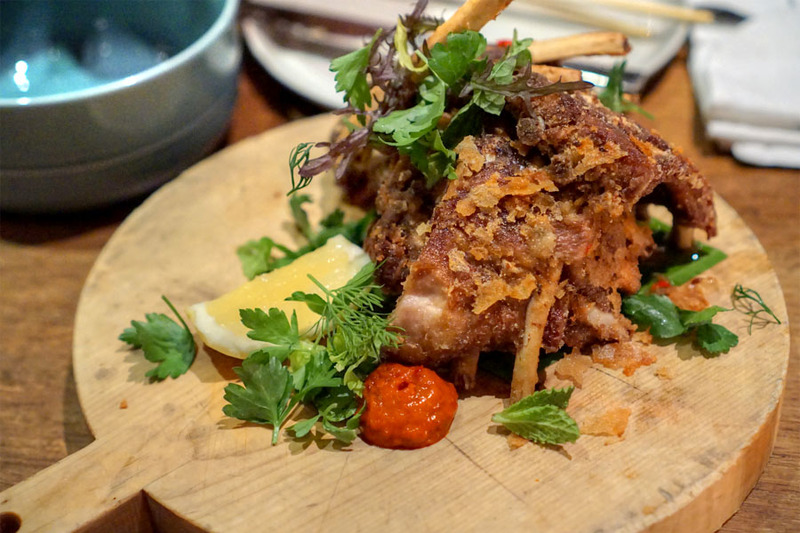 Unsurprisingly, Yagi was out by that December, and the team began a search for a new Exec Chef, finally deciding on Brandon Kida in June 2015. About the Chef: Kida grew up in Koreatown, the son of a fourth-generation Japanese-American mother and a first generation Japanese-American father (from Tokyo). As a child, he got interested in food after watching his parents cook: his dad prepared more traditional Japanese cuisine, while mom incorporated a lot more multicultural influence. In his teenage years, he worked at a pizza joint and at a Farmers Market food stall, then decided to enroll at the Culinary Institute of America (Hyde Park). After graduating in 2001, Kida moved back to LA, finding employment at famed French eatery L'Orangerie under none other than Ludovic Lefebvre. He then relocated to New York and began cooking at Lutèce, one of the grand dames of French cuisine in the City, where he started out as fish cook and eventually became sous. He also performed a number of stages at other top restaurants during this period. 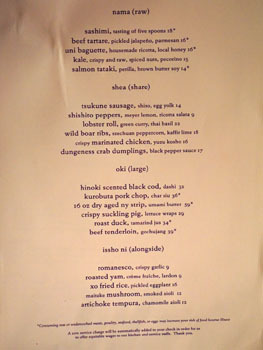 In 2003, Kida took on the role of an opening chef de partie at Asiate, working under Noriyuki Sugie. He was subsequently promoted to sous in 2005, and in 2009, became CdC. The Chef left Asiate in 2012 to head up the culinary side of Blenheim Hill Farm in upstate New York (and its associated restaurant in the West Village). Following, Kida opened Clement at The Peninsula Hotel in October 2013, a role he stayed at until leaving in 2015 for Hinoki & the Bird. Located on the ground floor of The Century condo tower, Hinoki's indoor-outdoor space is just how I remember it. 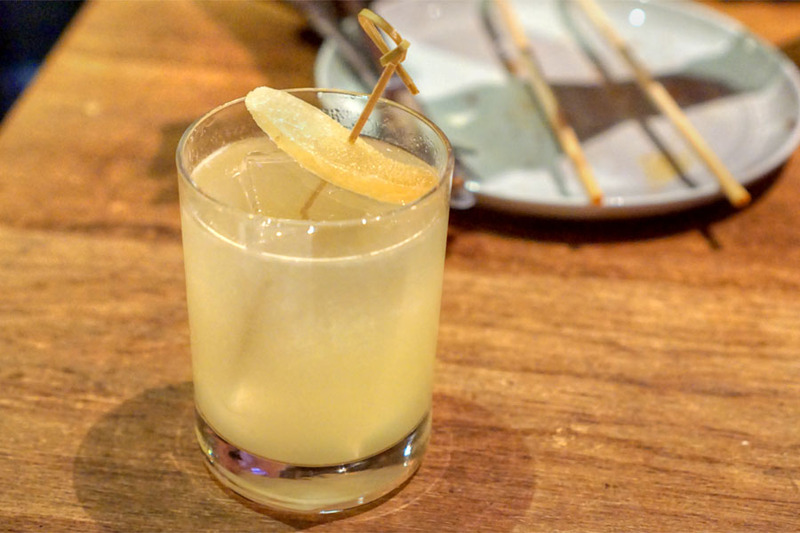 As far as the menu goes, it's been condensed and focused and simplified, though it still does retain its Asian-inflected, Cal-modern vibe. 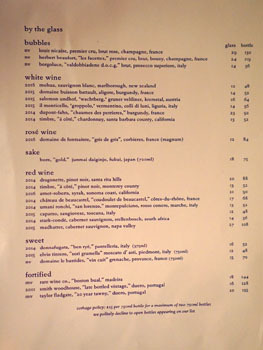 The cocktail list has been similarly abbreviated (note: Brandyn Tepper and Sam Ross are no longer involved), the wine list too, while corkage is $25 a pop. Click for larger versions. 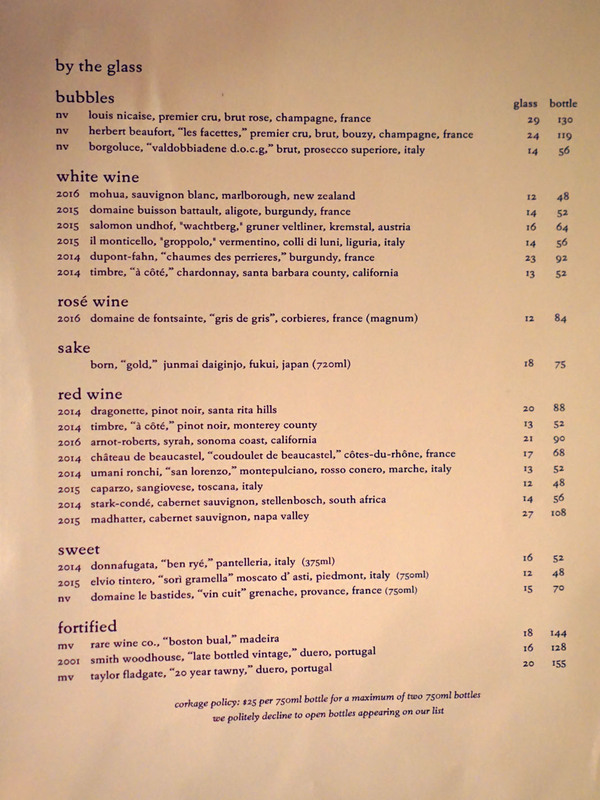 We ended up making our way through most of the cocktail list. 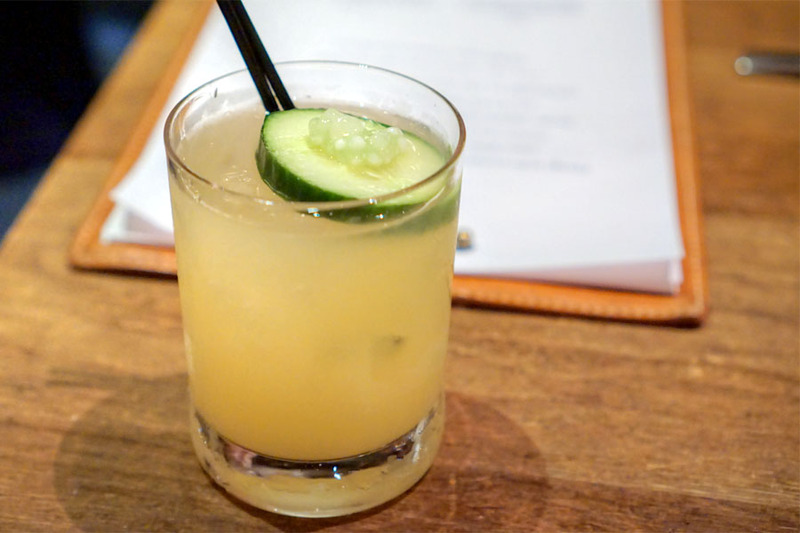 This mule variation certainly wasn't shy about the ginger, making it a bright, bracing drink with a boozy finish and subdued nuances of cucumber. I didn't get too much heat from the wasabi, though there was a distinct savory element. 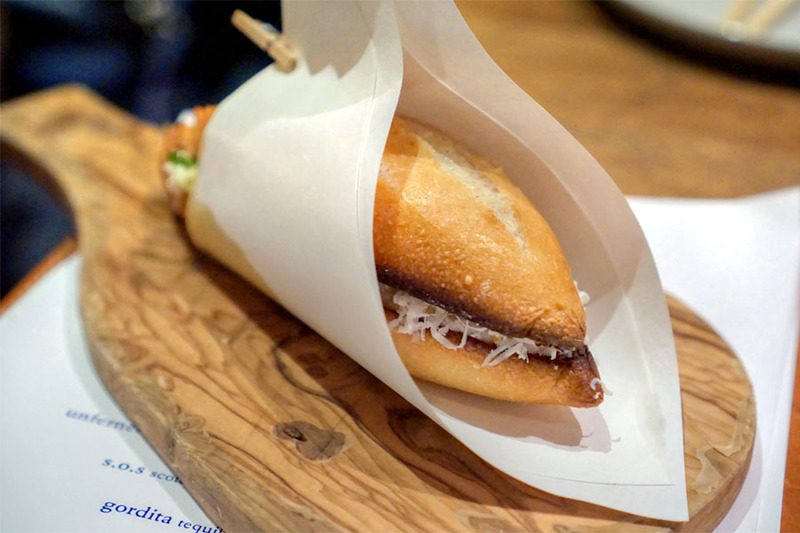 The baguette made for the most intriguing dish of the night. The sweetness of the urchin meshed surprisingly well with the honey and charred bread, while the richness of ricotta really brought it all together. I also liked the lingering smokiness present, as well as a tinge of what tasted like horseradish. 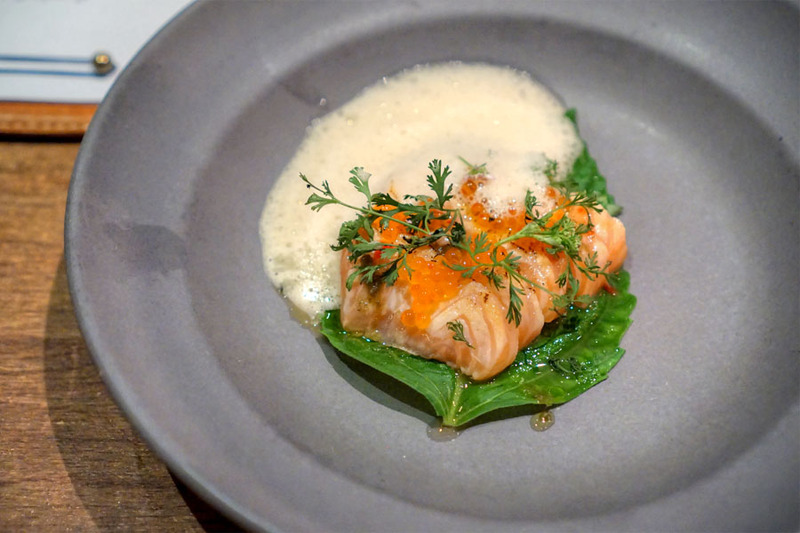 Salmon arrived fatty and flavorful, with a great depth from the brown butter-infused soy. The herbs up topped worked as a contrast, and be sure to wrap up your last piece of fish in the kkaennip, ssam style. As expected, this was the headiest cocktail of the bunch. 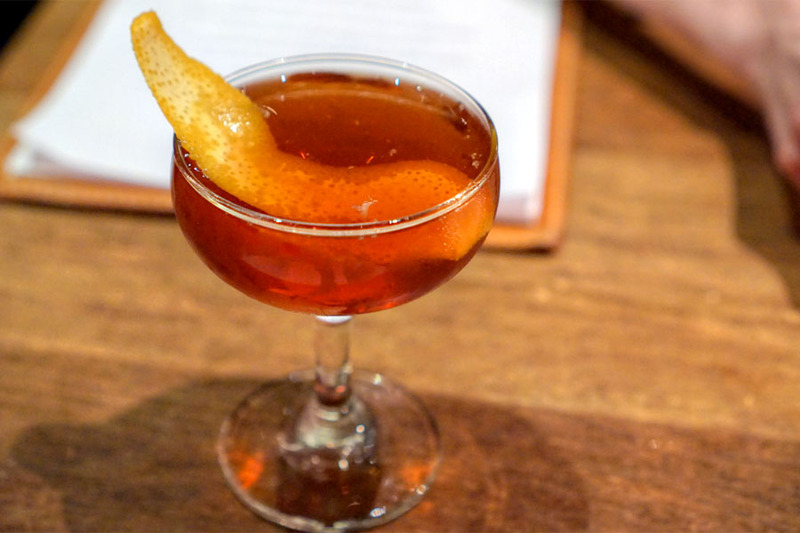 It had an appealing nose blending dark fruit, citrus, and alcoholic heat. 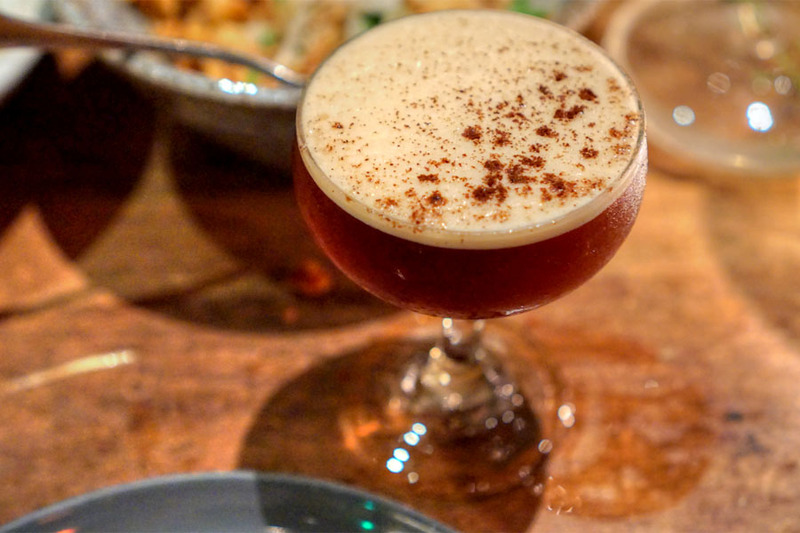 The drink was thick on the palate, with a boozy spice at first that led to a decidedly bitter finish with only a trace of the advertised duck fat. Boar ribs were superb, coming out crispy-skinned, with a delightfully "Chinese-y" sort of flavor profile. Even better when taken with the herbs and chili sauce on the side. 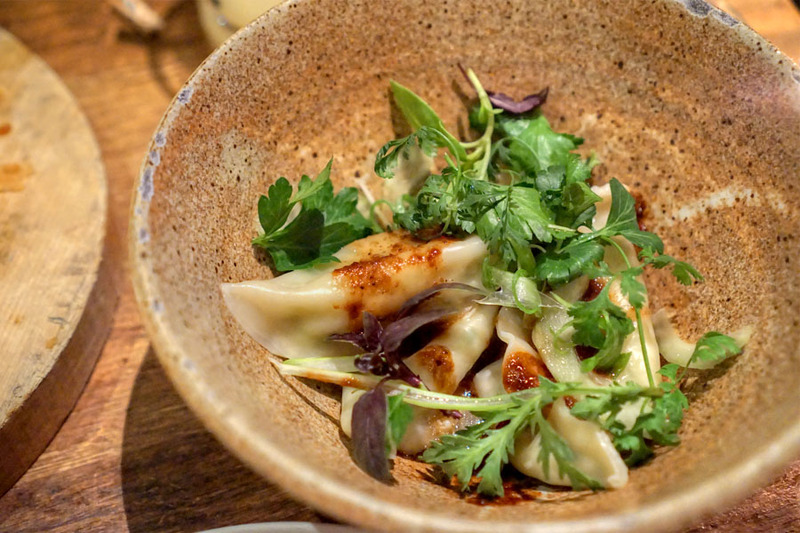 The dumplings did an admirable job showcasing the sweet brine of the Dungeness, and played especially well with the herbs. Nice depth in that black pepper sauce, too. Our next cocktail balanced a sort of honeyed sweetness with contrasting notes of ginger and lemon, though I didn't detect much from the rose water. 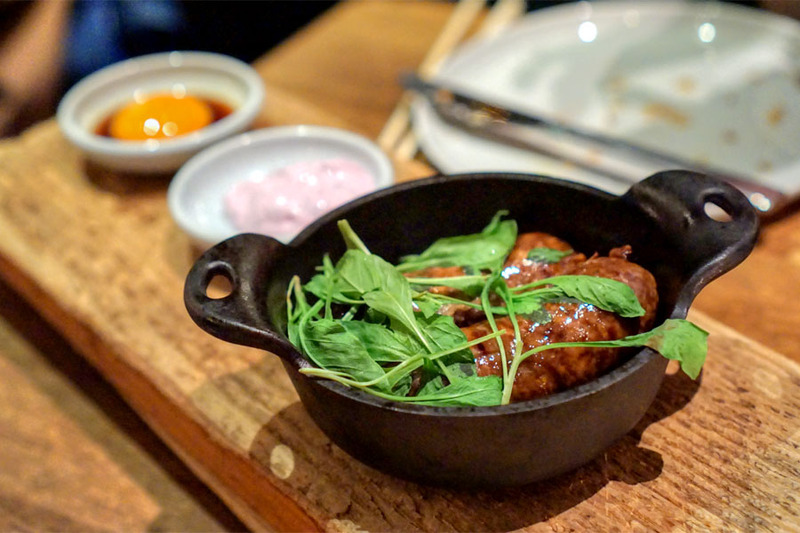 Sausages displayed a gritty, meatball-like texture and really did recall your classic tsukune, perhaps with a bit of chorizo inspiration in there. 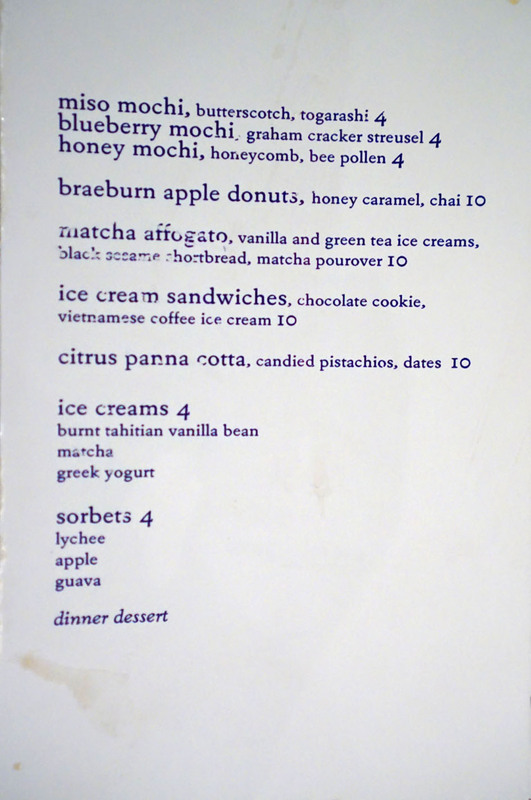 Flavors were rich, smoky, even a bit "liver-y," and I appreciated the cool counterpoint provided by the yogurt. 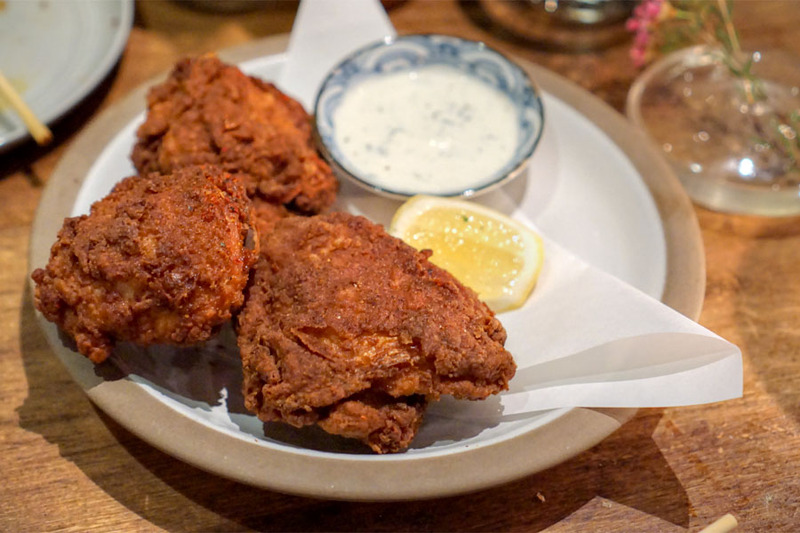 Fried chicken came out juicy and crisp, a super flavorful preparation that really sang with that yuzukosho-infused dipping sauce. 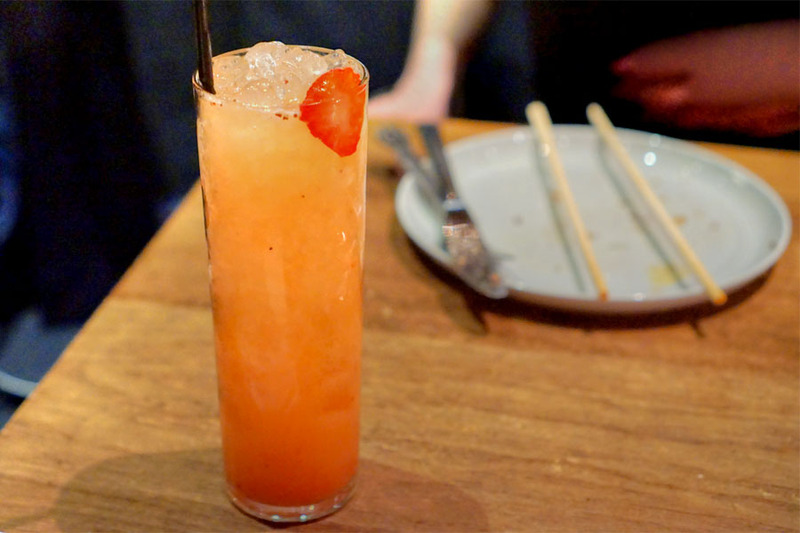 Our sole long drink combined the fruitiness of strawberry and orgeat, and effectively balanced that against the zing of black pepper. The signature cod was as rich and buttery and flaky as I remembered. 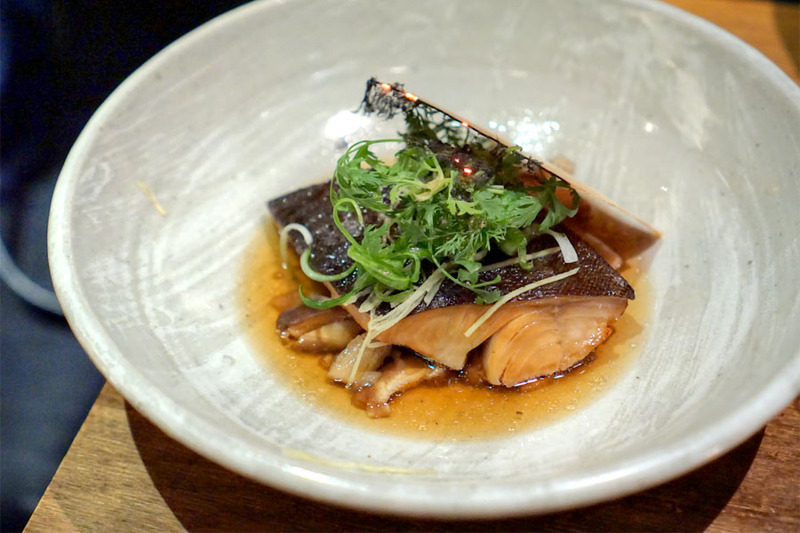 The dashi and mushrooms contributed plenty of umami to the dish, and the herbs on top just made sense. The fried rice also delivered. I was a fan of the dish's robust, peppery sauce and fried onions, as well as the creeping heat I detected. Perhaps my favorite things, though, were the bean sprouts and pickled eggplant, which imparted both texture and lightness to the mix. 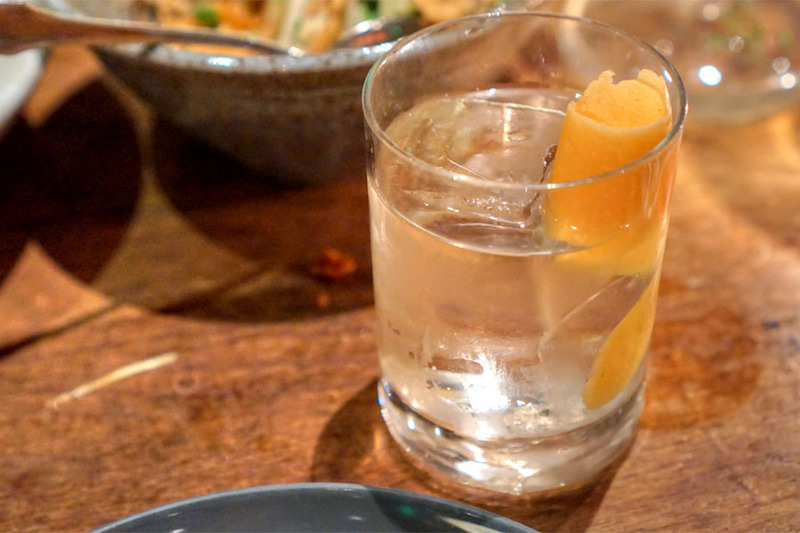 The restaurant's take on the negroni featured clean, refreshing flavors of citrus and botanicals at the forefront, with subtle undertones of gentian. 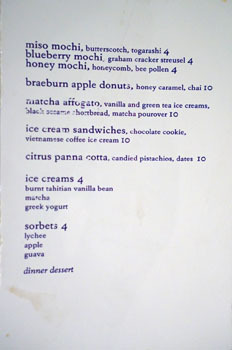 Desserts follow the same theme as the rest of the menu. Click for a larger version. 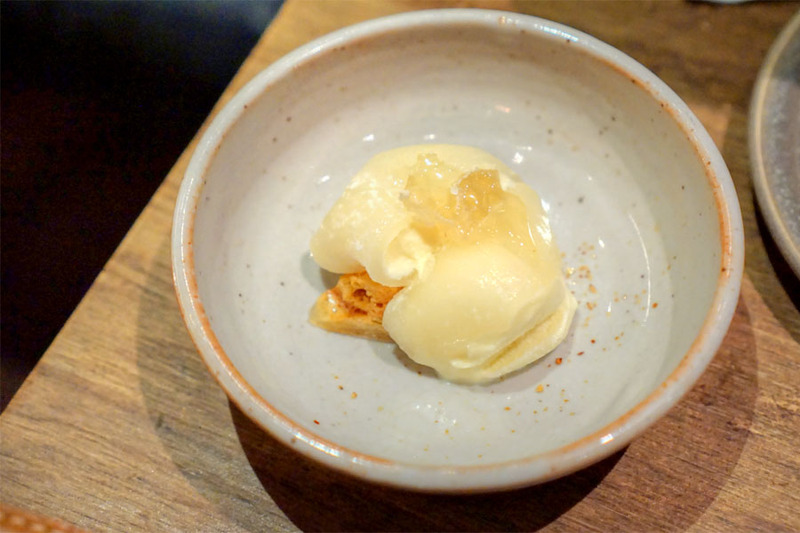 The mochi was heavy on the honey, which wasn't a bad thing, and I quite liked the crunchy bits on the bottom. 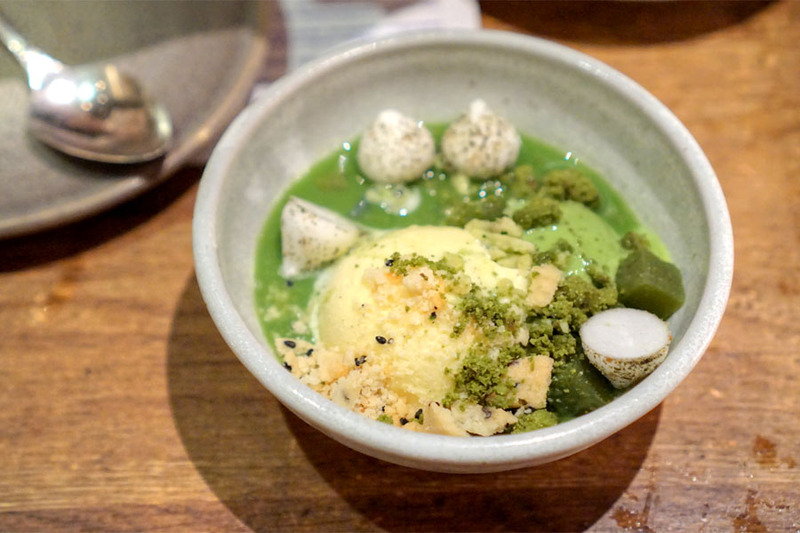 Our next dessert effectively conveyed the bitterness of green tea, set against a number of sweet, floral elements. Some excellent textures here to boot. The evening's final cocktail was on the dessert-y side to be sure. Nose of sweet chocolate and coffee, while the taste was mint-forward at first, but also roasty and smoky, with a persistent sweetness from the vanilla. 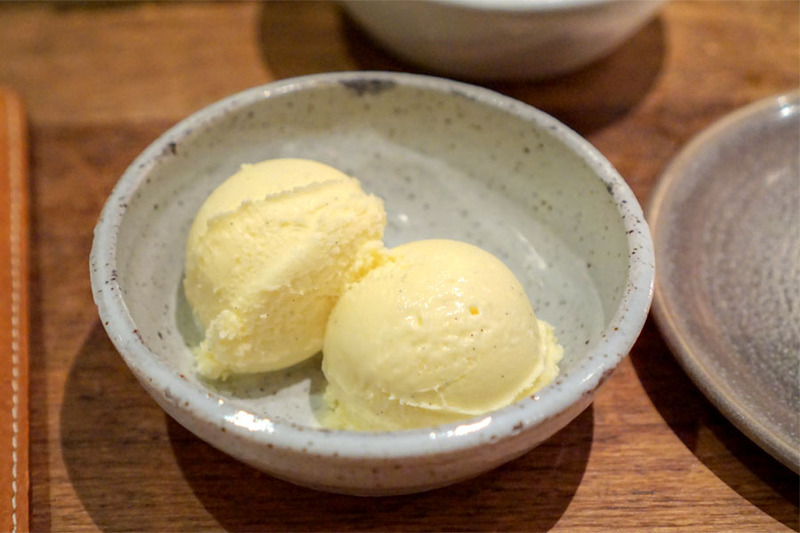 Last up were two scoops of not-too-sweet vanilla ice cream. 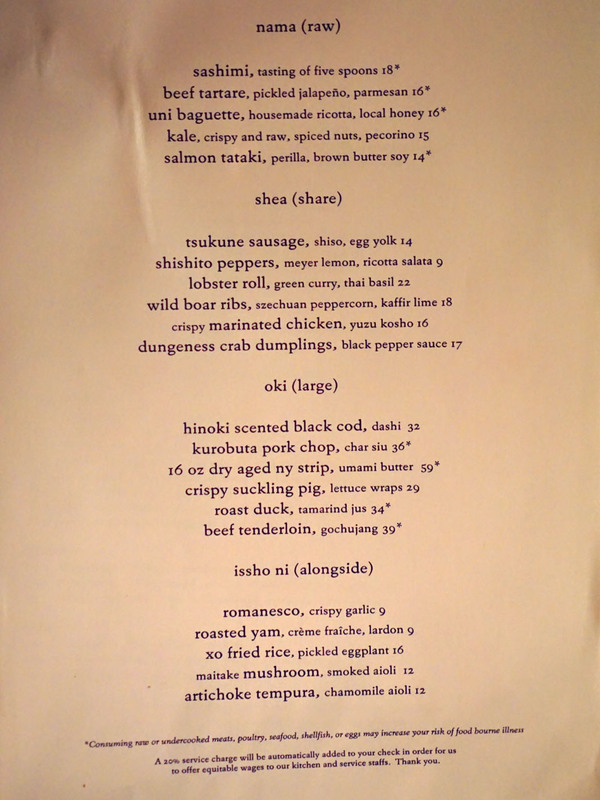 We were quite happy with our meal at Hinoki, and Kida looks to be doing a fine job leading the kitchen. 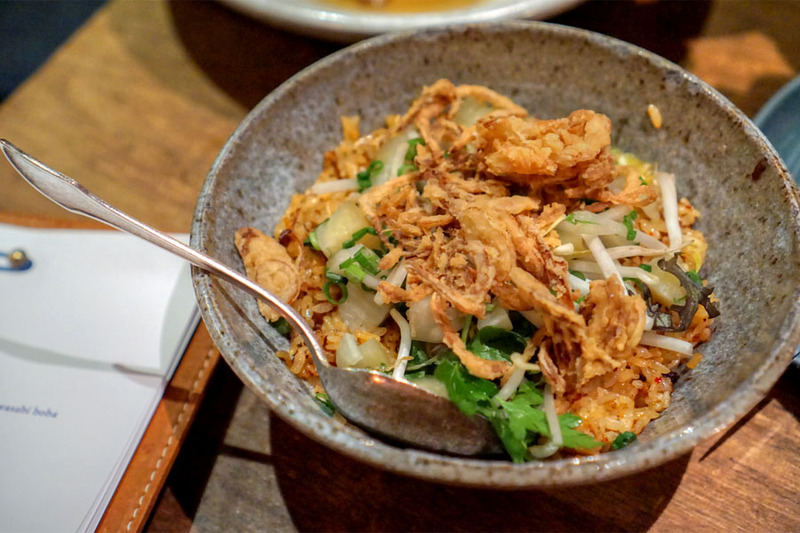 The cooking's just as good, if not better than before, and blends Asian and Cal cuisine influences in a way that's fusion without being too "fusion-y." I'm glad I finally made it back here. $32 for a small piece of fish is highway robbery. @anonymous You may be reading the wrong blog!